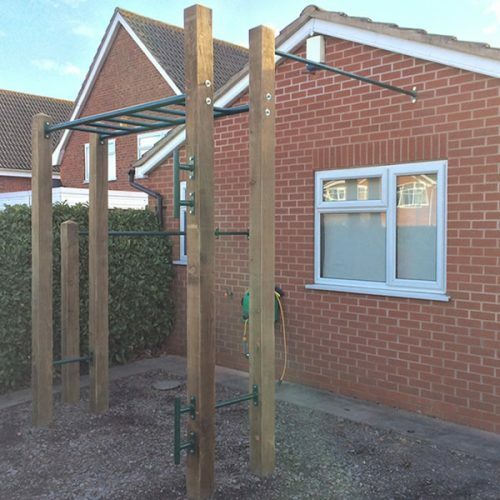 Our Wall mounted gym is something a little different. 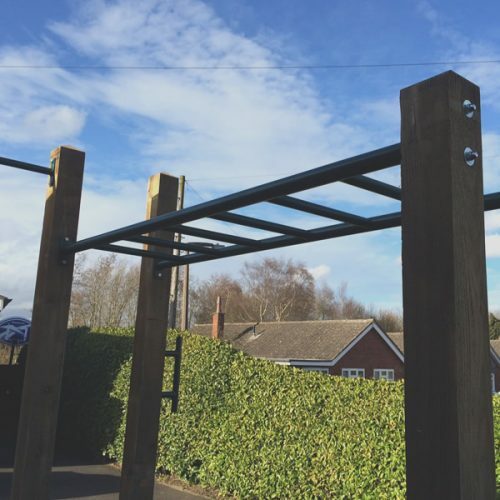 With a tall pull up bar, long parallel bars and monkey bars this set up will prove to be a great outdoor gym for all the family. Note: Human Flag Bars sold separately. 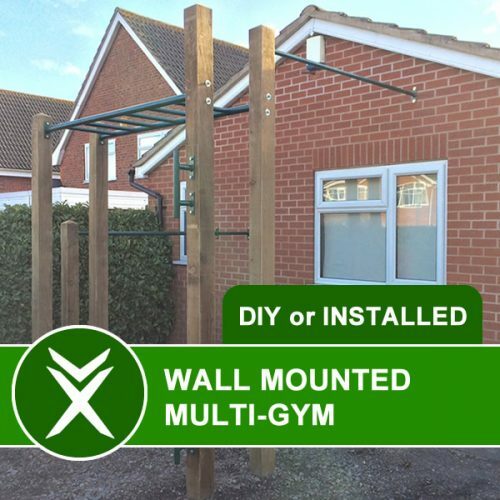 6 x Bolts, washers and metal plugs for brick walls.